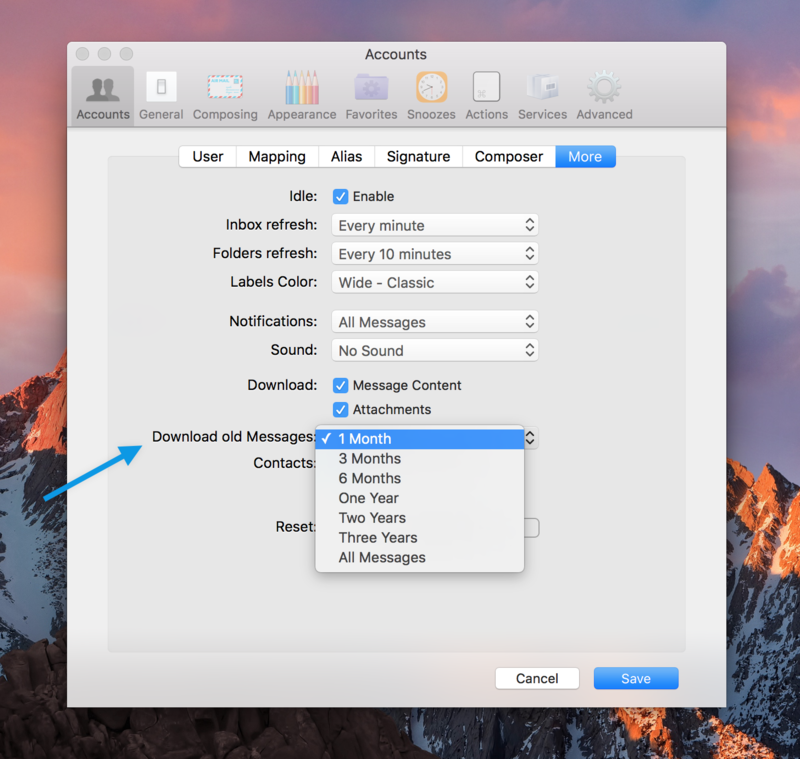 This feature allows you to choose the time period, which you want to download the messages from server. space and do not want the complete database to be downloaded locally from the servers. Also, this feature is not available for Exchange and POP accounts.